Cottages for Couples, Distinctive Luxury Cottages for Romantic Breaks in West Cork » Things just got better !!!!! Things just got better !!!!! Things just got better in two of our cottages. 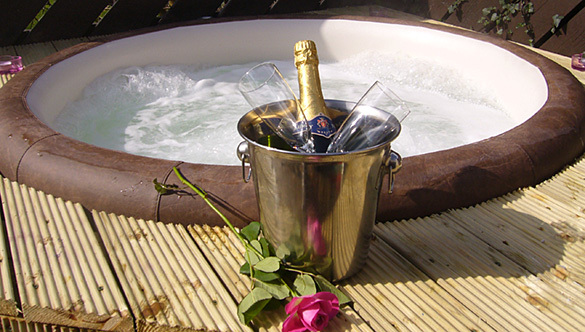 Courtyard Cottage 2 at Grove House now has a private hot-tub in addition to the bedroom jacuzzi suite. Click http://www.cottagesforcouples.ie/courtyard-cottage-2/. Riverbank Cottage now has broadband. We hope these improvements make your experience at Cottages for Couples even better.